'Benefietconcert voor Victory4all south Africa', RK-kerk, Klundert. 20:00 uur (full band) aanvullende info volgt z.s.m. 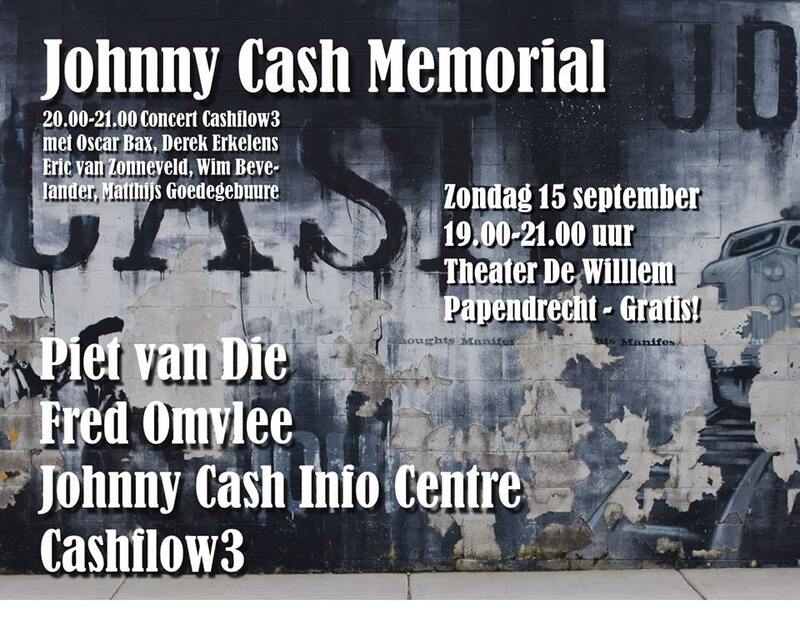 'Johnny Cash goes to Church', (full band) aanvullende info volgt z.s.m. Music Hall 'Four Corners' in Untermeitingen, Duitsland. Concert m.m.v. Mark Alan Cash, Rachel Dawson, David Langley, Matthijs Goedegebuure (Cashflow3).